Are you ready to revolutionize how you live and work? 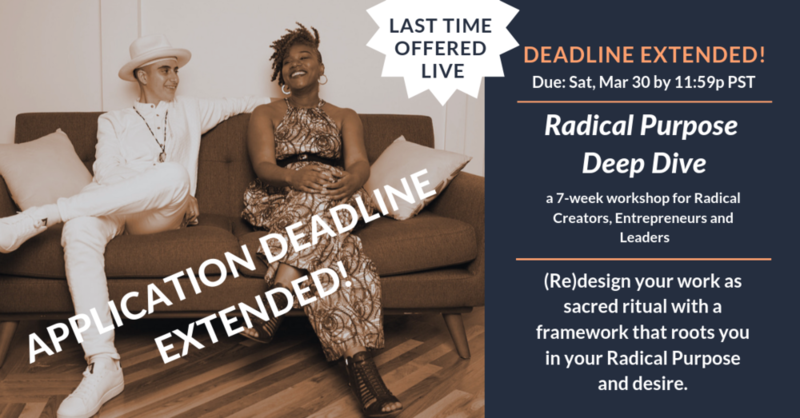 We provide innovative collective incubation frameworks rooted in the natural art/science of creation to grow Radical Creators, Radical Entrepreneurs and Radial Leaders who commit their lives to Radical Projects and Enterprises. We sustain a long-term community and network of Radical people looking to create worlds of Radical Love and Freedom. The world’s oldest (known) living animal is a Turtle (Tortoise to be exact). We’re looking to grow worlds of Radical Love and Freedom that outlive us all by tapping into the power and wisdom of Turtle. We rely on the art/science of creation as represented by the Turtle. 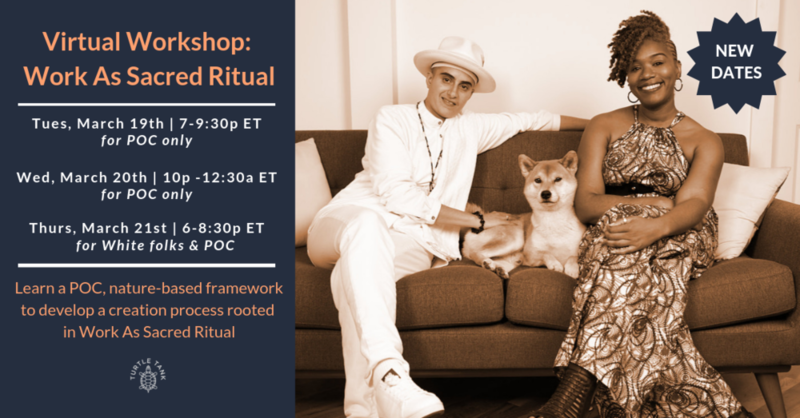 It is an approach based in queer, POC and indigenous frameworks that draw on the wisdom of the natural world (read more).